Located in suburban Center Valley, Pennsylvania, Melt is a chic dining destination known for contemporary Italian cuisine in an atmosphere that’s distinctly “New York-style driven” according to Melt’s architect, Howard Kulp, RA. Looking for a way to expand their seating, Melt worked with Howard Kulp Architects – designers of the original two-floor restaurant – to add additional seating and draw more patrons from the nearby communities and its host shopping center. The new main attraction? 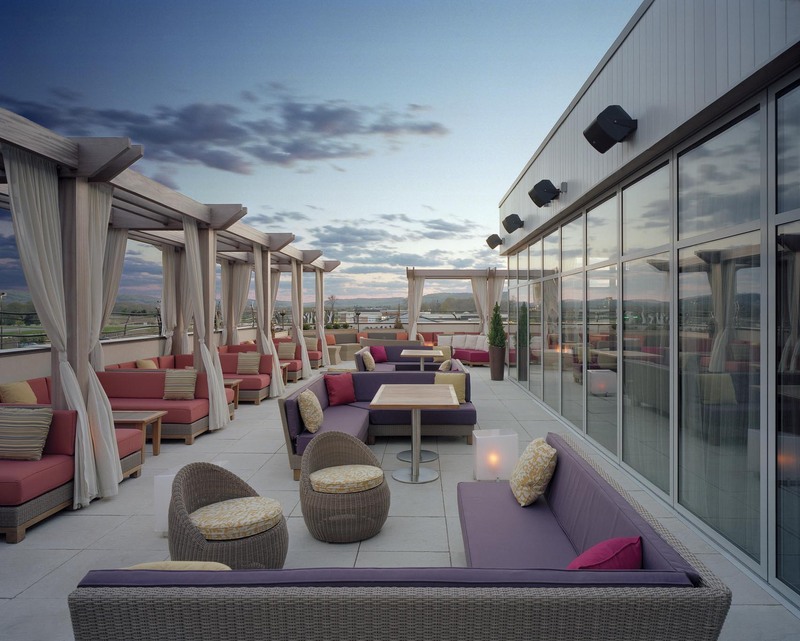 Level 3 – a lounge located on the rooftop of Melt, says Kulp. 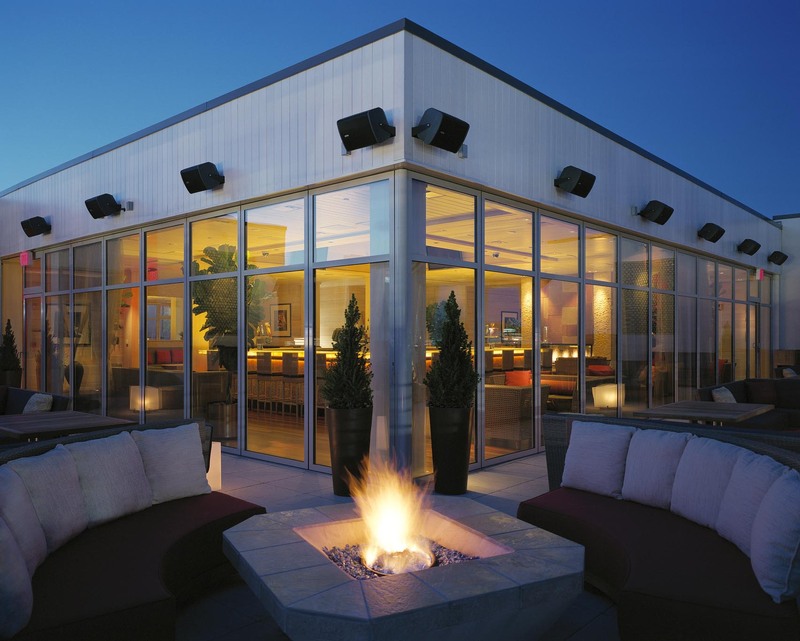 "NanaWall provided the answer to the issue of the outdoor elements and gave us the opportunity to create a unique and stunning rooftop lounge that dramatically morphs from indoors to outdoors, instantly." Specifically, Kulp and his project team selected NanaWall’s HSW60 – an aluminum-framed, single-track sliding system with open corners – to transform the formerly unusable space into a year-round, sophisticated nightlife destination. According to Melt owner, George Paxos, the system has been a success. 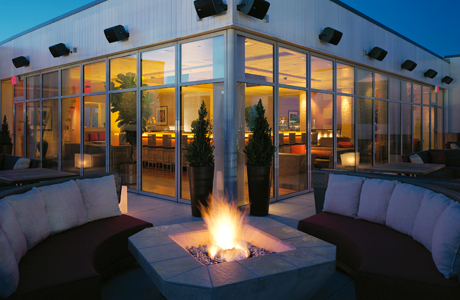 “The NanaWall is a wonderful tool, enabling us to accomplish our goal of creating the experience of a relaxing evening for our guests, whether the weather is cooperative or not, by simply opening and closing the wall,” says Paxos. “Being in the northeast with unpredictable weather, the NanaWall allows our guests to experience the outdoors even when the wall is closed,” Paxos adds. The convertible opening is large and dramatic, too: At 81 feet across, using 21 individual panels, the HSW60 wall system solution for Melt meets the design and aesthetic needs of the owner’s and architect’s shared vision. 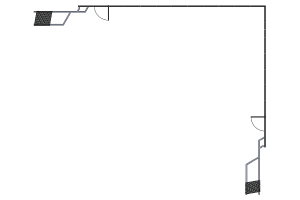 Yet on a functional level, almost every sliding panel in the closed position can be converted for use as an incorporated, single-acting swing panel, which can be open inward or outward. 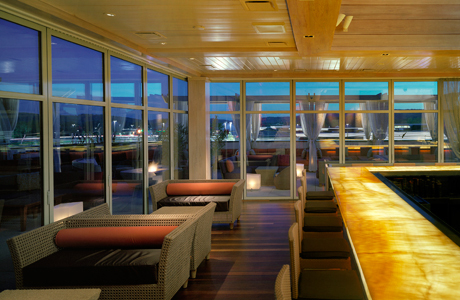 The effect on table layout and relative openness to the outdoors is unlimited, says the architect. 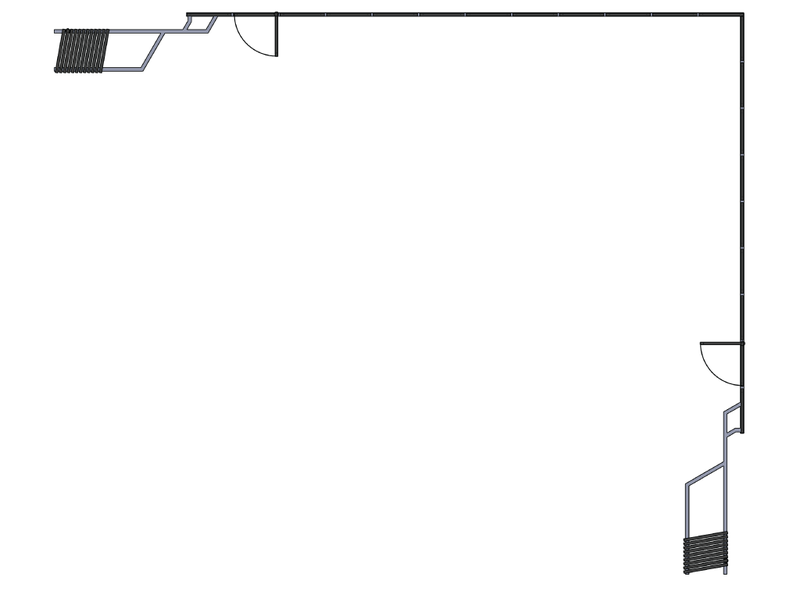 Panels can be taken out of the plane of the opening, and the wall can be completely out of sight if desired. When the wall is closed, all panels are on a single track, eliminating the need for bulky, multiple tracks and the thick walls they demand. Instead, it is sleek, slim and appealing to the eye. The HSW60 system is also highly customizable. Along with the original panels, additional parallel and perpendicular tracks can easily expand or reduce heated or air-conditioned spaces. Another appealing feature is the flexible number of panels, restricted only by structural and steel constraints. Even if there are structural posts, tracks can be laid to the inside or outside of the posts to allow sliding of the panels beyond the posts. Designers have freedom with the HSW60 system, too. 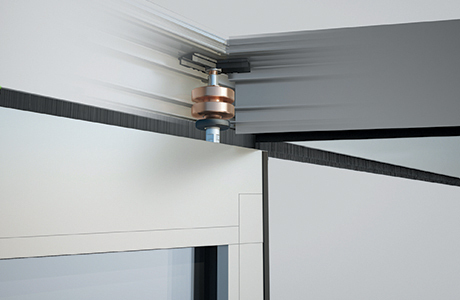 With a smart, variable angle astragal profile, systems can be supplied with any segmented angle between 0° and 9o° between panels, allowing the designer to create completely open corners or bays. For Melt Restaurant, NanaWall’s ability to bring the outdoors in is a perfect match for the comfortable interiors with warm wood finishes and rich, natural colors. 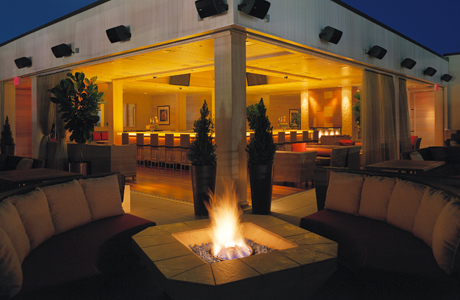 Outside, the signature red awnings are now matched by red outdoor seating and even a new fire pit. 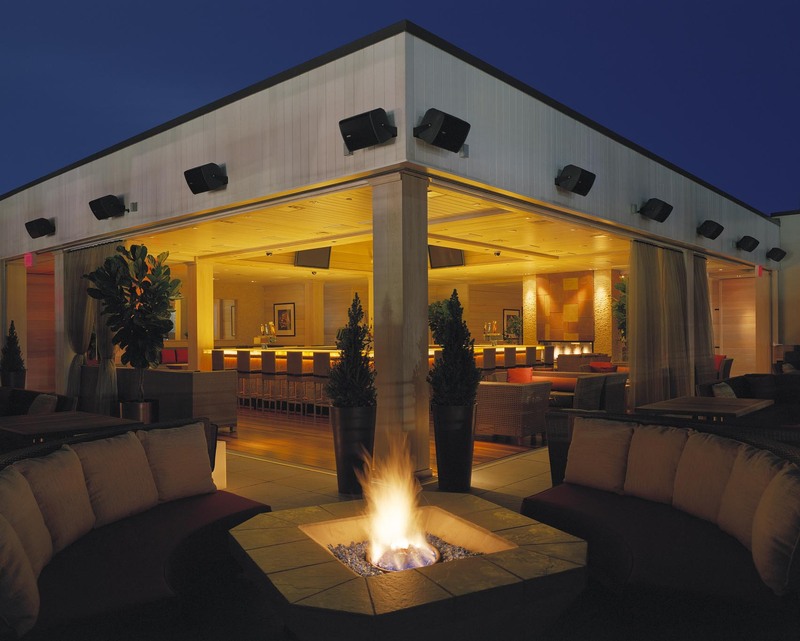 "NanaWall gave us the opportunity to create a unique and stunning rooftop lounge that can morph from indoor to outdoor instantly and effortlessly. 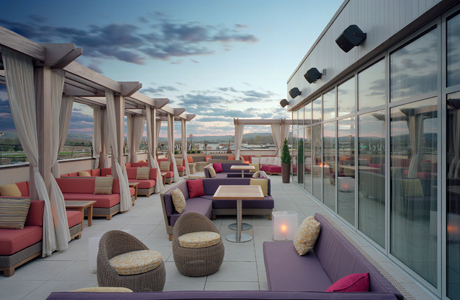 Guests experience the outdoors whether the weather is cooperative or not."